I recently bought a car and transported it back to MD where I live. The guy who sold it to me owns a small dealer and gave me a few companies he has used before to transport his cars. I called a few of them but set my mind with AA Car Transport. They did a great job and were very professional. Thanks guys! Maryland was the seventh state to become part of the United States as many other states is known by three common nicknames: the Free State, the Old Line State and the Chesapeake Bay State. The state was named by Cecilius Calvert; however it is unknown after whom it was named after, whether it was Virgin Mary the mother of Jesus or Queen Henrietta Maria. Although the state is one of the smallest, it ranks in high places when it comes to population with Annapolis for capital and Baltimore as its largest city. Given the size of the state it takes many people by surprise when they come to know that Maryland is the wealthiest state of the country as it ranks first with the highest household income. Maryland has a mix of ethnicity from all over the world as many new comers have settled in the state; however the biggest influence comes from German, Irish and African Americans. Baltimore, Maryland was the birthplace for the famous Babe Ruth as well as Cal Ripken, Lefty Grove, Frank Baker and many others. The state was also the first to offer dental studies at the University of Maryland. The state is also responsible for being home for Francis Scott Key who wrote the National Anthem, it is said that Scott Key wrote the anthem while watching the bombardment of Ft McHenry in Baltimore Harbor on September of 1814. Also a truss bridge was named after Francis Scott Key and it is the second longest in the country. Annapolis, the state capital is also known as the sailing capital of the world and is home to thousands of fanatics. The state of Maryland also gave up some of its territory to form what is now known as Washington D.C., the capital of the United States, before that, Annapolis served as a temporary capital for the country. Although Maryland is small in size, its large population has a great demand for car transportation. The city of Baltimore is the 24th largest city in the country and is home the second largest Mid-Atlantic seaport in the nation. This port although once was big for the overseas transportation of manufacturers, has now become an important meeting point for all mid and Eastern states. Also major highways pass through the cities such as the I-95, I-70, I-83, I-395, I-695 and many others. Because these highways all meet through a passing point in the city and surrounding areas, Baltimore is a great pickup and delivery location for neighboring areas when using car transport. Having the port nearby has also influenced the movement of car transport as many cars are delivered to and from the port on a weekly basis; this allows transportation overseas for dealers and also to other main ports of the east coast. As mentioned before the Port of Baltimore has great demand for car transport delivery and pickup, therefore drivers servicing this are must have a requirement a TWIC card (Transportation Worker Identification Credential) in order to be able to enter the port unescorted to pick up or deliver cars. When booking transportation to the port it is important you handle the paperwork before hand as the driver must enter with a Dock Receipt in order to pick up or deliver any vehicle. This is the consent the owner of the vehicle provides in order to transport the car. Booking numbers must be clear and accurate, any inconvenient at the port can result in extra fees and for your car to be left in storage as drivers cannot wait until issues are sorted out, as they must continue with their schedules. Maryland has one of the biggest naval bases in the country as well as an air force base and a few army posts. Transporting to vehicles to and from these places is very common and is required very frequently. Although most of the transportation is done by soldiers moving from one location to another or who have been deployed and need to move their cars, military cars are also transported via car transport in high demand. Old military trucks or new ones are transported on a regular basis. Most companies offer military discount and offer door to door service as long as military personnel allow the possibility. When you require car transportation services due to a car purchase, it is important you file all paperwork needed before hand in order to ensure that the car will be ready for pick up as any delays due to missing paperwork or unreleased cars will cause extra fees and possibly loose the available driver. If you are lucky the driver can wait, but be sure his time will not be cheap. Once the car is delivered it is also important you register your car to make sure you comply with Maryland rules, you can visit http://www.mva.maryland.gov/ for more information. Read Also How to Ship a Car and the Golden Rules to avoid car transport scam! 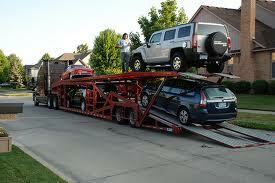 Need more information about Car Transport in Maryland? Call us at 800.516.3440 or get a FREE QUOTE.